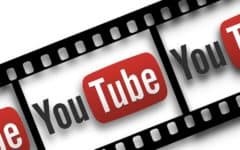 Home » Social Sites and Apps » Video / Image Sharing » What is YouTube TV? Traditional cable and satellite TV is falling by the wayside with the advancements in digital technology that have been happening in the past few years. 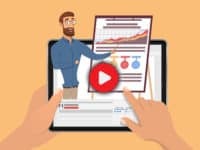 With services like Netflix and Hulu becoming popular, and DVRs (digital video recorders) becoming standard, people want to watch what they want, when they want – and they want it cheaper than ever. 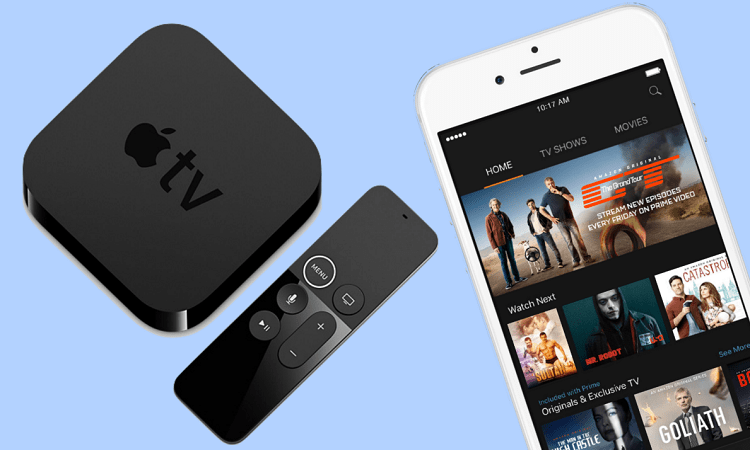 TV streaming services are fast becoming the norm, especially because they typically offer you a subscription for a low monthly cost – with no contract. Meaning you can sign up and cancel at any time, and not have to make a commitment to any one service. YouTube TV is the newest, coolest option out there on the market, and we’re going to teach you everything you need to know about it. Let’s start out with the burning question, what exactly is it? YouTube TV is a streaming service that allows you to watch and record live TV from major broadcasting and cable networks. You can watch as much as you want, whenever you want, and stream live TV or your unlimited recordings on the go using their app. Up to 6 accounts can be set up with one subscription. 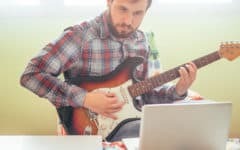 Essentially, you’re looking at the future of TV, or as Google describes it, “live TV designed for the YouTube generation—those who want to watch what they want, when they want, how they want, without commitments.” You can stream and record your favourite shows, all for one low monthly fee. 1. You get unlimited DVR storage space – seriously, it’s unlimited. With YouTube TV, you get access to a DVR that has unlimited storage space – a feature that comes standard with many of Google’s top-of-the-line services. You can record shows that are streaming live to watch them later – so you never miss any of your favorites. There’s absolutely no limit to how many shows you can add, and keep as long as you want. Many of the channels available on YouTube TV also offer their shows on demand, which means you can also watch them at any time (typically within a week of airing). 2. Up to 6 accounts are included with one subscription. With a single YouTube TV subscription, you can add up to 6 accounts. That means not only can you share the cost of a subscription with family, friends, roommates, and so on, but you can also customize your DVR, favorite channels, and so on. 3. There are no contracts, and no commitments. When you sign up, you don’t have to sign a contract, and you can cancel your payment (and therefore, your service) at any time. As is standard with any digital service, you will have to agree to terms of service, but don’t worry – there’s no fine print. You can cancel at any time, and still watch YouTube TV until the end of your payment month. This means that if you begin your payments on the third of the month, and you cancel on the fifteenth, you will still be able to watch YouTube TV until the third of the following month. 4. Stream across all your devices. With YouTube TV, you can watch your favorite shows anywhere, anytime, on any of your devices. Desktop, browser, mobile, tablet – whatever you have, you can use it. This also means that you can take the YouTube TV app with you on the go, and use a Wi-Fi or mobile data connection to stream your shows. 5. It actually has channels that you want to watch. Many of these streaming services start up with good intentions, but they can’t get good network channels on board. With YouTube TV, you’re dealing with the power of Google, and you get access to channels you actually want to watch – and probably watch on a regular basis. Why are you paying 4-5 times as much for your satellite subscription when you don’t watch 900 out of the 1000 channels you pay for? With a subscription to YouTube TV, you’re getting the shows you like, and not a lot of what you don’t. 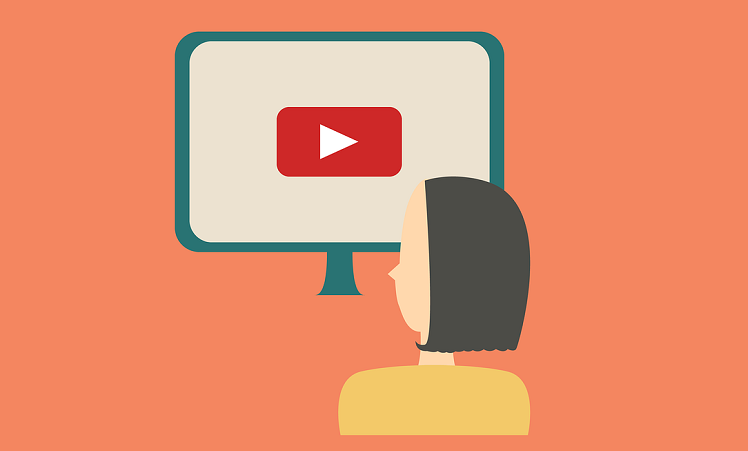 For a complete list, scroll down to our section “YouTube TV channels list,” but some of the main channels offered include: ABC, CBS, Fox, NBC, Disney, sports channels, and more! 6. Get a free trial and a free Chromecast device. Google knows that if you try their TV streaming service out, you’re going to love it, so they offer you a no-commitment, 1-month free trial. 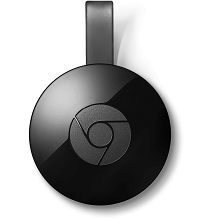 To sweeten the deal even further, for a limited time, you also get a free Google Chromecast device. Note, that you only get the free Chromecast device when you make your first payment, but Google will ship it to you for free! You have literally nothing to lose by trying it out. Since we laid out all the pros for you, there are a few cons we should mention. The first glaring one is that it’s only currently available in 15 major U.S cities, though we expect that to change quickly. This, however, is only a sign-up requirement; once you’ve signed up in your city, YouTube TV will work everywhere you are within the United States. The second drawback is that it only offers two channels you can add on to your package – and they aren’t cheap. 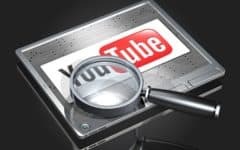 We’re hoping in the future, YouTube TV will bring us a bigger variety of channels, or at least more options for those of us who can’t live without our guilty pleasure TV channels. Despite some of these shortcomings, we think YouTube TV is an awesome service, and we’re going to tell you why, so you can decide if you’re ready to sign up! For YouTube TV, you’ll pay $35/month, with no pesky contracts. You get unlimited access to all of the standard YouTube TV channels, a DVR, unlimited storage space, and can use YouTube TV anywhere, including on all your devices. Up to 6 accounts can be registered and attached to one paid subscription. 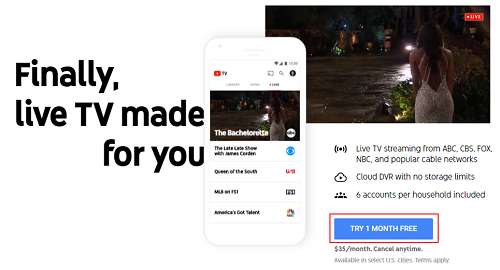 You can register up to 6 accounts with one subscription – this means that if you’re sharing YouTube TV with 5 other people, your monthly payment would be less than $6 per person! You can cancel at any time – There’s no contract and no commitments. If you feel that it’s no longer the right service for you, or you just want to take a break, you can cancel at any time. You can sign up again with no hassle, and all of your preferences will be saved for the future. One month free trial – You can try out YouTube TV for free for one month, with absolutely no commitment. Payments are made automatically, so you don’t have to worry about paying a monthly bill – You can set up a pre-authorized payment on your credit card or using your PayPal account to pay for your subscription, so you don’t have to worry about making a payment each month. It will just automatically come off of your credit card. Free Chromecast device – As soon as you make your first payment, you’ll receive your free Chromecast device (for example, once your free trial ends). Is YouTube TV worth it: is it a better deal than what you’re getting with cable? YouTube TV is a better deal than cable or satellite TV if the channels you mainly watch are included in the channels offered. Many channels you get with cable you probably don’t watch, and the prices are always climbing higher. You also get a free DVR with unlimited space – you can’t beat that deal. 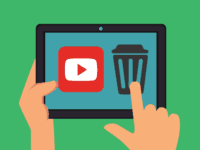 YouTube TV uses the Internet to stream digital TV channels live to your devices, and allows you to pause, rewind, fast forward, and record shows at your leisure. 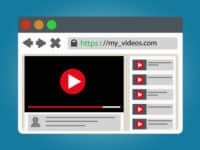 Because all TV is digital now, all of the content that is broadcast over cable can just as easily be streamed over the Internet, and YouTube TV does this to make your viewing experience both more convenient, and cheaper than many cable TV packages. Essentially, by signing up, you will gain access to an application that streams TV directly to any of the devices you authorize on your account. The TV will come directly to your device (computer, laptop, mobile phone, tablet, etc.) and allow you to control when you watch it. 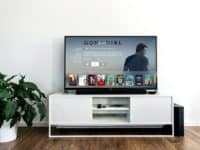 As long as you have access to the Internet (including a Wi-Fi connection or mobile data connection if you’re on-the-go), you’ll be able to watch all your favorite shows. You also get access to a cloud-based DVR with unlimited storage space, meaning you can record all of your favorite shows and watch them whenever you want. Not to mention, many of the available channels have on-demand content, so even if you’re not ready to watch your shows live, you can watch them later when you have more time. To gain access to these great features, you’ll first need to sign up. The first step to signing up is to make sure YouTube TV is available in your area by checking out the list of available locations. If you live outside of this area, you won’t be able to sign up for YouTube TV, so always make sure you do this first, as there is little point to beginning the sign-up process if you don’t already know you can get a membership. If you want to know fast, scroll down to see our list of available YouTube TV locations. Finally, before singing up, you’ll need to make sure you have a Google account (which means you have a Gmail address). During sign up, you will be prompted to sign in to one of these accounts, so make sure you’ve got one. If you need help, we can show you the quick and easy way to sign up for a Gmail account. Now you’re all set to sign up, and get started on your one-month free trial! Visit www.tv.youtube.com/welcome/ in a web browser. Click the blue Try 1 Month Free button. Choose a Google account to use for YouTube TV (and sign in, if necessary). Follow the sign-up form process prompt and customize your membership. When filling out information, you’ll need to confirm your location (though YouTube will most likely find this information automatically. When customizing your membership, you’ll be offered the chance to add premium channels for an addition price. You’ll also have to enter your payment information, even though you get one month for free, as the billing will begin automatically once the one month is over. Cancel your membership at any time before the one month is over (with no additional fees) if you don’t want this payment to go through. YouTube TV is currently only available in 15 major U.S. cities. You must be physically present in one of these cities to sign up for YouTube TV, though, once you have verified your sign up, you can stream YouTube TV anywhere within the United States. You cannot stream YouTube TV outside of the U.S. Check out this list from Google to stay updated on the current available locations for YouTube TV. To know if you can sign up for YouTube TV, simply start the sign-up process, enter your ZIP code, and Google will tell you right away if you are eligible or not. Now you know what you can watch it on, so what exactly will you be watching? These are the current channels you can get with your basic subscription to YouTube TV. How is YouTube TV different than YouTube Red? YouTube Red is a premium YouTube experience that offers you ad-free videos, music, and makes their content available offline. It also has original content that you can’t get anywhere else. 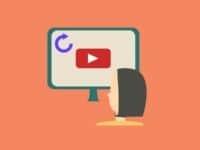 In contrast, YouTube TV streams and lets you record live television (from cable TV) – not YouTube.com content. With your subscription to YouTube TV, you also get access to the YouTube Red Originals, but not YouTube Red itself. If you are a subscriber to both, you also get a totally ad-free experience on YouTube TV. Currently, Red costs $9.99/month, so if you like the Originals mostly, you can simply subscribe to YouTube TV. If YouTube TV doesn’t sound like it’s for you, there are a few other options out there. Though nothing exactly like YouTube TV exists, there are great streaming services out there for you to consider. One of the biggest ones is Netflix, where you can get unlimited TV shows and movies (that have already aired) for only $7.99/month. There’s also Hulu, gives you access to many popular shows that are on TV right now – though neither of these allow you to watch live TV. If you’re interested in learning more, we have detailed tutorials on how to use Netflix, and how to use Hulu – you might find that one of these is more suited to your needs. If you think you want something more like the live TV streaming experience of YouTube TV, try Sling TV, Amazon Video, or Playstation Vue – all of which get you access to live TV, on-demand content, and much more. Some are even cheaper than YouTube TV, coming in at only 20/month! Hopefully this guide to YouTube TV has given you all the information you need to help you decide if it’s right for you. YouTube TV can be a great alternative to modern cable and satellite TV contracts that are costly, especially when all the channels you love are offered by a much cheaper service. You also can’t beat the convenience of on-the-go streaming services, on-demand content, and the unlimited storage you get with the YouTube TV DVR. If you think it’s for you, be sure to get more information, and start the sign-up process by clicking the button below.